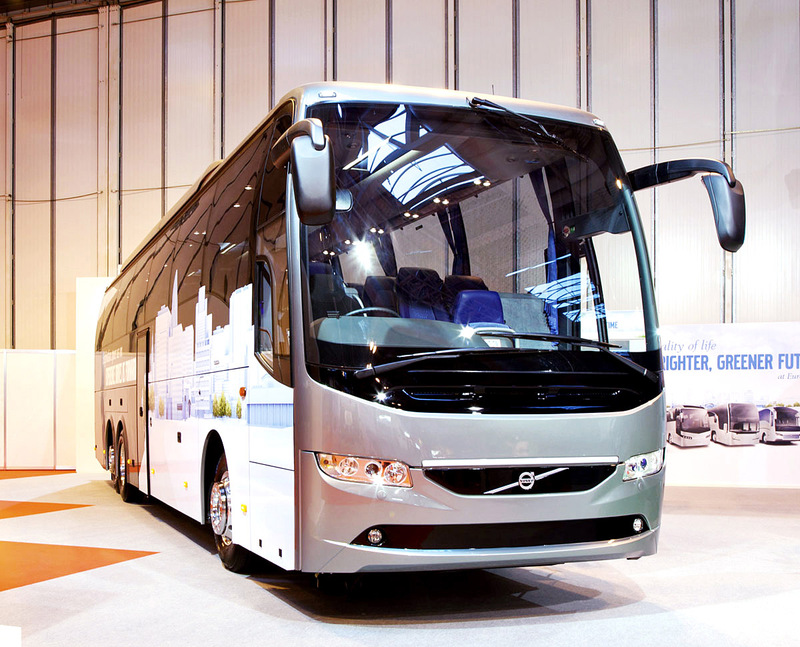 This summer saw the appointment of Håkan Agnevall as the new President of Volvo Buses. Stuart Jones caught up with him at Busworld Kortrijk for a short interview. SJ: Can you tell me about your background? HA: I joined Volvo Bus about four months ago now. The first and largest chunk of my career I spent with ABB, the big engineering company, in the power systems sector in transmissions, then in industrial robots and then before joining Volvo I was working with Bombardier where I was head of the European part of the propulsion and controls business, so basically the drive systems for trains. I’ve lived and worked in a few countries like Thailand, Brazil, the USA, Switzerland so I’ve a kind of an international background. SJ: What objectives have you been set on taking the role? HA: Overall we have to increase the profitability, that’s for sure. I cannot go into the financial detail because we’re inside the reporting period. The whole of the industry’s goes through some difficult times so the road to profitability, one important piece of it is to be part of the economic shift that is happening right now, at least in our opinion, the city bus side. SJ: How important to Volvo is the UK market? HA: It’s very important. I think we have a long history there. The double deck segment is very interesting. We’ve just celebrated forty years there. SJ: In volume terms, what percentage is it of what you do? HA: In Europe it is about a third of the volume. SJ: How do you think Volvo Bus will differ under your tenure? HA: We set out to increase profitability but I think from the customer offering side, we need to start with the customer. It’s all about providing not only products but solutions. I’m talking city buses here. What we see now comes back to electromobility. It is a key driver for us going forward in city bus. We see this technology and we want to provide and promote this solution to our customers. We have learned that from our customers. We need to come to many markets with a complete offering including charging infrastructure for plug in hybrids for the electricity, including buses, including traffic management systems, so you will see a Volvo in city bus that is augmenting the core business to be able to offer a total systems solution. We will not do everything by ourselves, we will partner with some big infrastructure providers, providing a total package for the customer that wants and needs it. SJ: And what about on the coach side? HA: On the coach side I think we need to continue to develop new concepts. We have the 9700 and the 9900 and there will be new products going forward. I don’t want to go into the timescale perspective now.